For the next 4 weeks we’re embarking on a Tanzania Coffee Extravaganza! 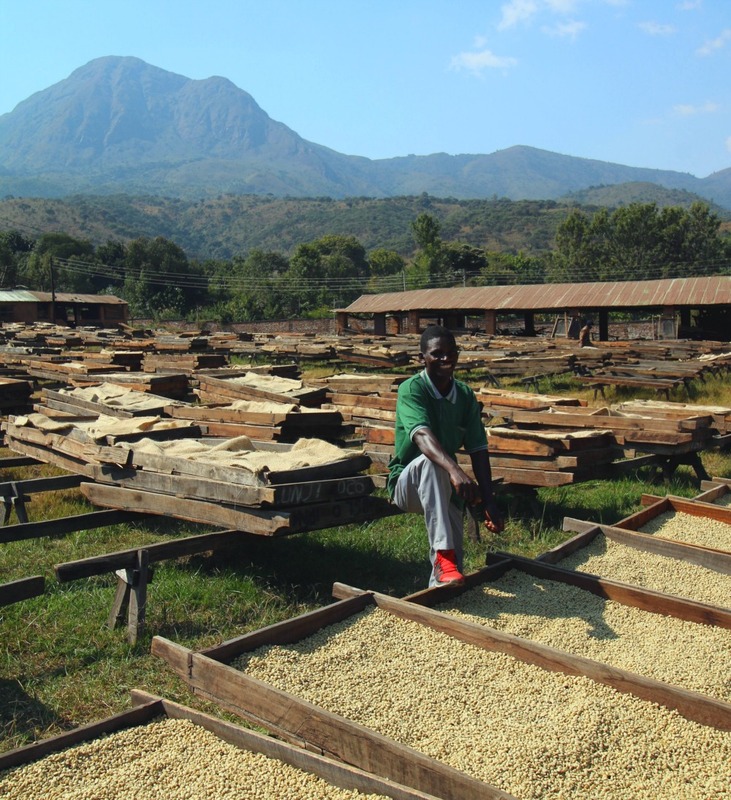 We’re excited to showcase five incredible Tanzanian coffees. We have the Peaberry and the Forest lots from Blackburn Estate. There’s a natural processed coffee from the Wamacu co-op, as well as two remarkable estate lots from Mimba and Lunji. Raspberry Coulis. Cumquat. Vanilla. Almond. 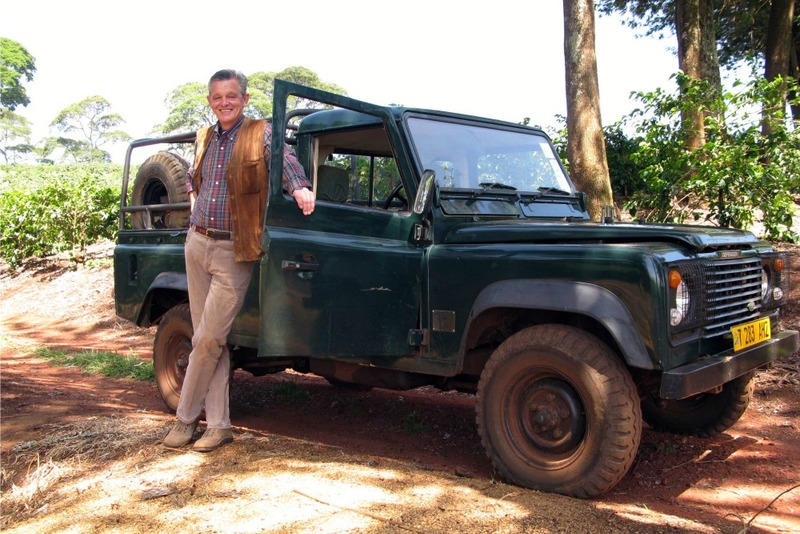 Blackburn’s owners, Michael Gehrken fell in love with East Africa when he first visited in 1971. In 1983 he moved to Tanzania from Germany to renovate his parents’ farm. Back then, Blackburn’s coffee trees were entirely overgrown and a troop of baboons had moved into the main house! Blackburn is now an award-winning estate, distinguished by quality and their commitment to insecticide free, ecologically-sound farming. The farm is a haven for wildlife and a UNESCO World Heritage site. In respect of this unique environment, Michael and his wife Tina have set aside 80% of the land as a wildlife preserve. Animals are entirely free to wander beyond the unfenced park. Lion, buffalo, elephant, leopard and many other species roam around the farm at night. Several small pyres of coffee parchment and red chillies are set on the boundaries to deter elephants from damaging the plants. Green Apple. Honey. Lime Syrup. Mimba Estate is located in the green hills of Mbozi, Mbeya in Southwest Tanzania. It was established in 1995 by Joseph Meila, a Swiss immigrant who arrived in Tanzania a decade earlier. Joseph initially planted 100 hectares of Bourbon on the land and over the past 30 years has expanded production to cover the full 160 hectares. All coffee on the farm is meticulously picked and sorted by hand to remove damaged or under-ripe cherries then delivered to flotation tanks, where underweight and damaged cherries are removed. The coffee then passes through a pulper which extracts some of the mucilage from the berries, and then moved to a wet fermentation tank. Coffee is then washed and sorted into P1 and P2 weight categories. Once washed the coffee is moved to the drying tables and air dried for about 7 days. The coffee is turned regularly and covered with netting during the heat of the day. Joseph did not create the farm for profit, but was motivated to provide jobs for the community. During harvest they employ over 150 locals and all food grown is provided to the workers free of charge. The community is further supported by various year-round work opportunities. 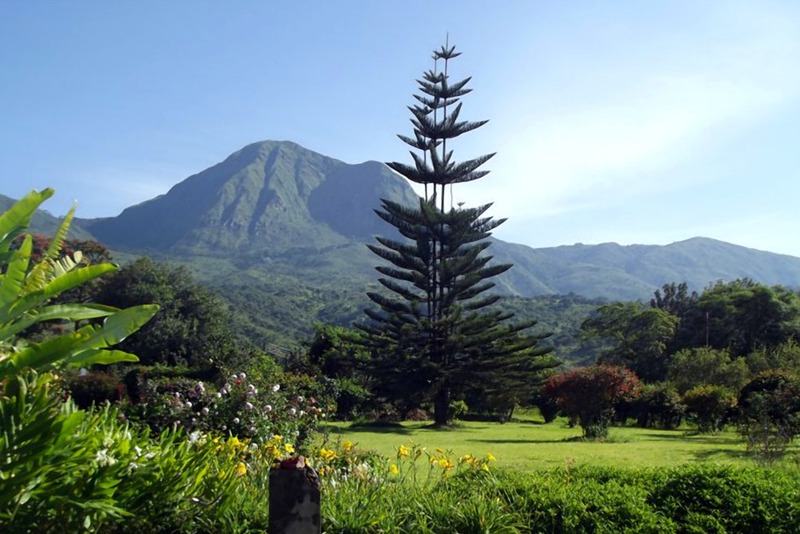 Lunji Estate is located at the foot of the Mbeya mountain range and has stunning views of the mountains. It was founded in 1893 with the first coffee trees planted in 1898. Since then it has changed hands numerous times, until recently, it was bought in 1994 by current owners Clemens Maier and Thomas Plattner. At the time the farm had not been functioning for years and was in such bad shape that it had to be rebuilt from scratch. Clemens and his wife, Stella, took on day-to-day management and over time brought the farm back to life. Stella is Tanzanian, speaks 5 tribal languages and has developed a very close relationship with the local community. Clemens is from a farming community in Bavaria and is passionate about building a strong community around specialty coffee. Environmental stewardship is important to them, and they have already placed around 35% of the farm under conservation. The coffee grown at Lunji are traditional varieties such as Bourbon selections – SL28, Kent and Blue Mountain. They have also introduced more exotic varieties, such as Pacamara, Yellow and Red Catuaí and Catimor Hybrids like Ruiru 11 and Compact. All coffee on the farm is processed using the fully washed method. 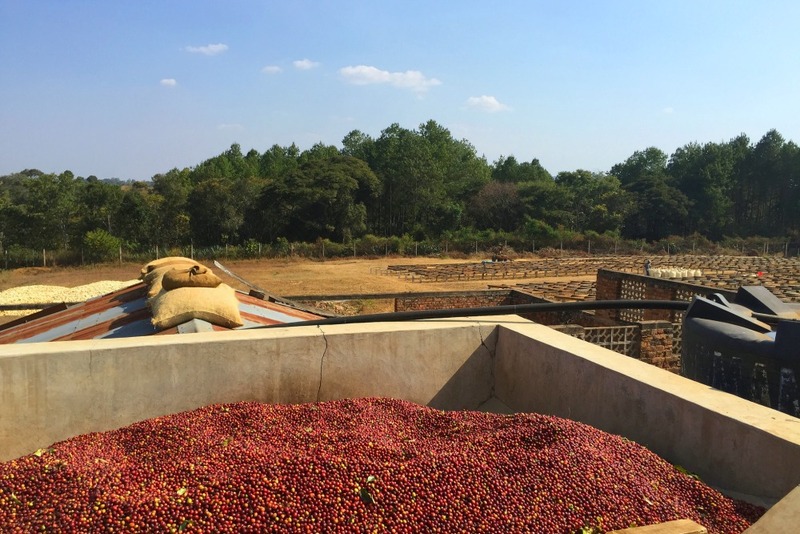 After being selectively hand-picked, coffee is sorted to remove damaged cherries before being pulped. The coffee is then placed in the fermentation tanks for 24 hours. The parchment is then fully washed before being washed again through the grading channel. The grading channel has several wooden stoppers at different heights, which sorts the coffee again ensuring quality control. After fermentation and washing, the coffee is dried on raised beds between 9 to 13 days. During this time, the coffee is regularly turned and sorted to remove any damaged beans. The coffee is eventually rested at a dry mill and sorted according to screen size and density. This unique natural lot comes from producers living near the town of Tarime in the Mara Region. The region lies between Maasai Mara National Reserve and Lake Victoria, and is over 1200 km from the coffee port at Dar Es Salaam. High transport costs make it hard for lots like this to make it through, so we’re thankful that this lot has! The Wamacu Farmer Group CPU was formed in 2008 as a partnership between 9 different coffee Cooperatives and has already made a huge difference to the farming community. 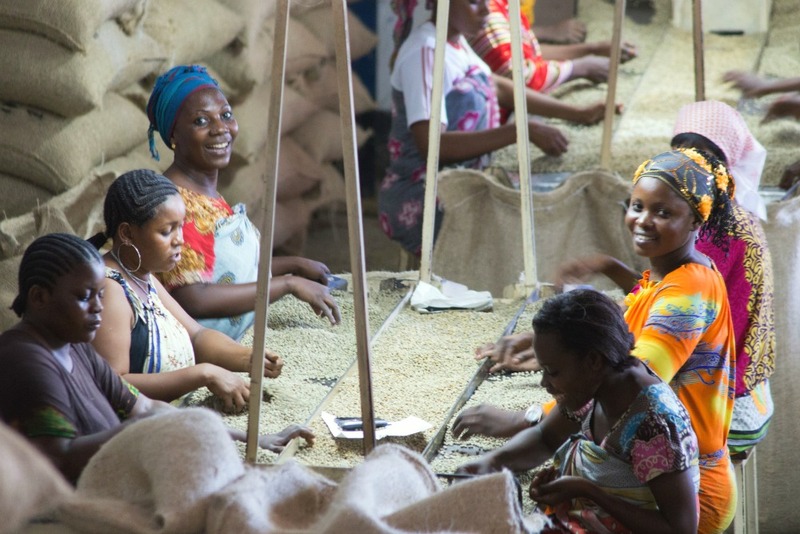 Previously, producers in the region were forced to sell their coffee at sub-market rates. The small, individual cooperatives didn’t have enough bargaining power nor access to market. 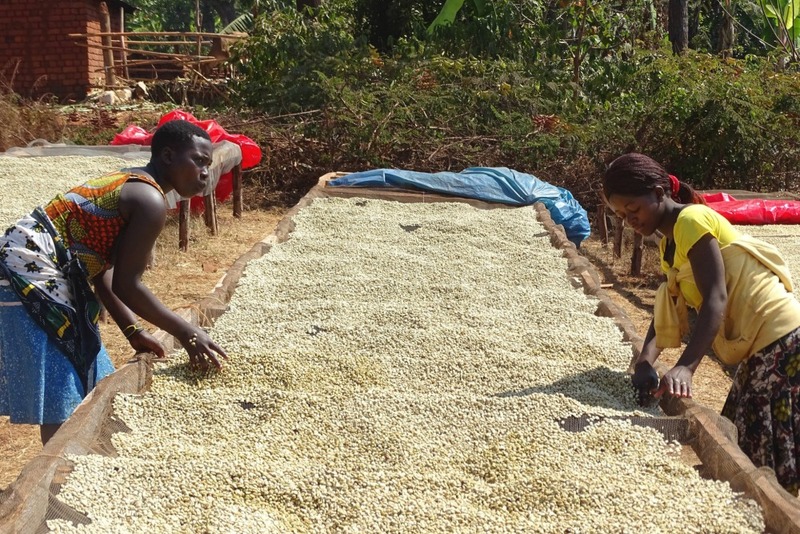 Since Wamacu formed, the group has been able to organise and pay back substantial loans, they have placed coffee on specialty markets for higher premiums, and have ensured much higher prices for producers locally. The cooperative already has 830 members and is growing annually. When ripe, coffee is selectively handpicked by farmers and their families, then delivered the same day to the washing station, where it is inspected and sorted. While Tanzania is not well known for natural coffees, this coffee is processed using the natural method. There are some fully washed coffees coming out of the region, however most are processed naturally because of tradition and culture. In fact, Tarime is the only region in Tanzania where this is standard processing. 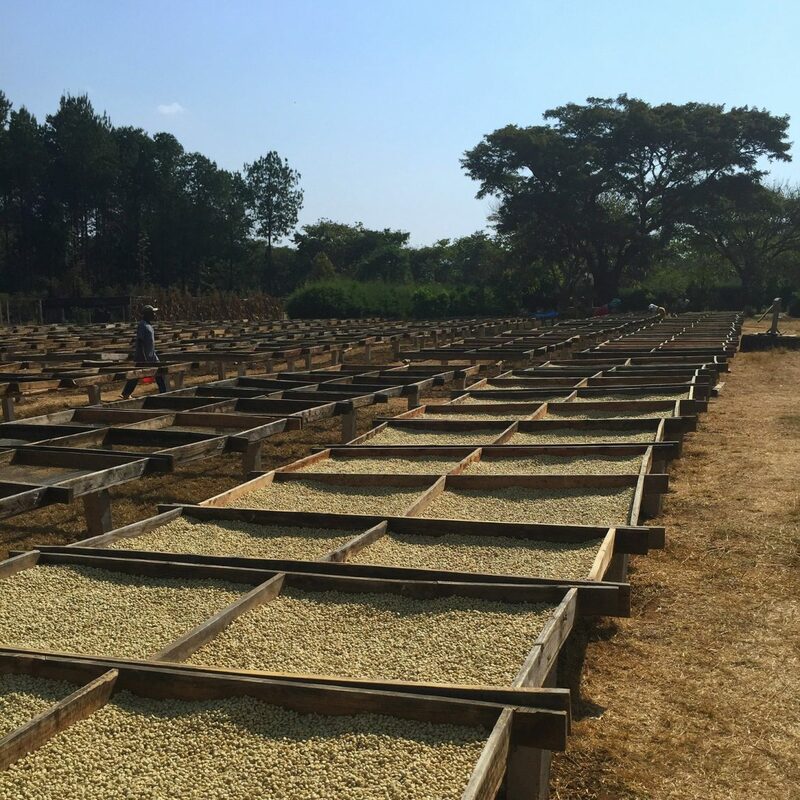 After being sorted the coffee is dried on raised beds. Coffees from the group have won regional competitions, including the top three positions in the 2017 Taste of Harvest for Tanzania. 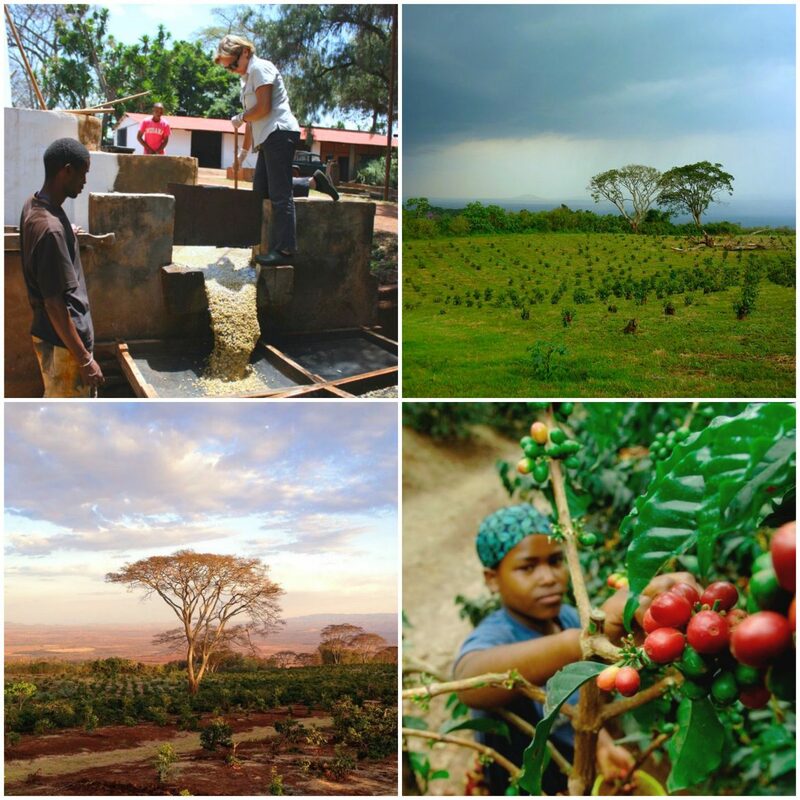 We hope you enjoy this delicious selection of coffee from Tanzania this month. What a great story and a detailed explanation into the success of this coffee plantation. I am looking forward to trying one or more in the next few days. Thanks Ken, we hope you enjoy it.